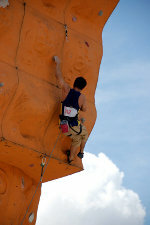 Although many climbers adhere to “minimal impact” and “leave no trace” practices, rock climbing is sometimes damaging to the environment. 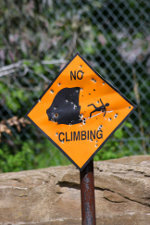 Common environmental damages include: soil erosion, chalk accumulation, litter, abandoned bolts and ropes, human excrement, introduction of foreign plants through seeds on shoes and clothing and damage to native plant species, especially those growing in cracks and on ledges as these are often intentionally removed during new route development through a process commonly referred to as cleaning. 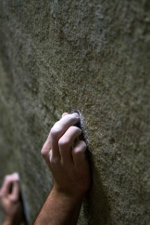 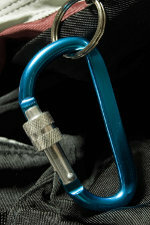 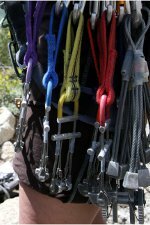 Clean climbing is a style of rock climbing which seeks to minimize some of the aesthetically damaging side effects of some techniques used in trad climbing and more often, aid climbing by avoiding using equipment such as pitons, which damage rock. 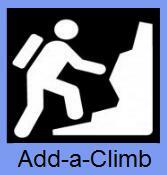 Climbing can also interfere with raptor nesting, since the two activities often take place on the same precipitous cliffs. 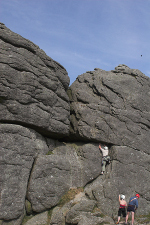 Many climbing area land managers institute nesting season closures of cliffs known to be used by protected birds of prey like eagles, falcons and osprey.